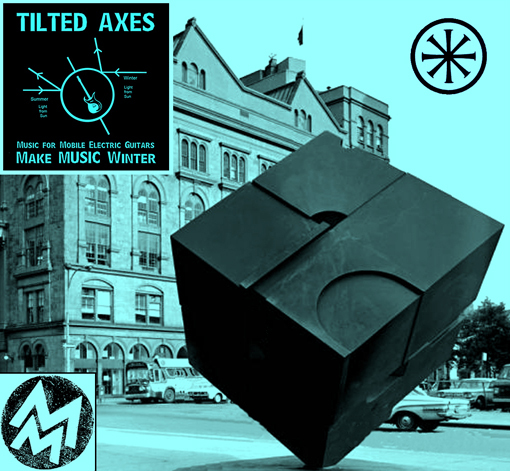 On December 21st, 2013, in celebration of the first day of winter, TILTED AXES: Music for Mobile Electric Guitars will give its 3rd annual procession as part of Make Music Winter. The event features dozens of electric guitarists powered by portable mini-amps and accompanied by percussion that results in a moving, polyphonic sound cloud layered in compelling, electric rhythms to honor this season’s axial tilt. 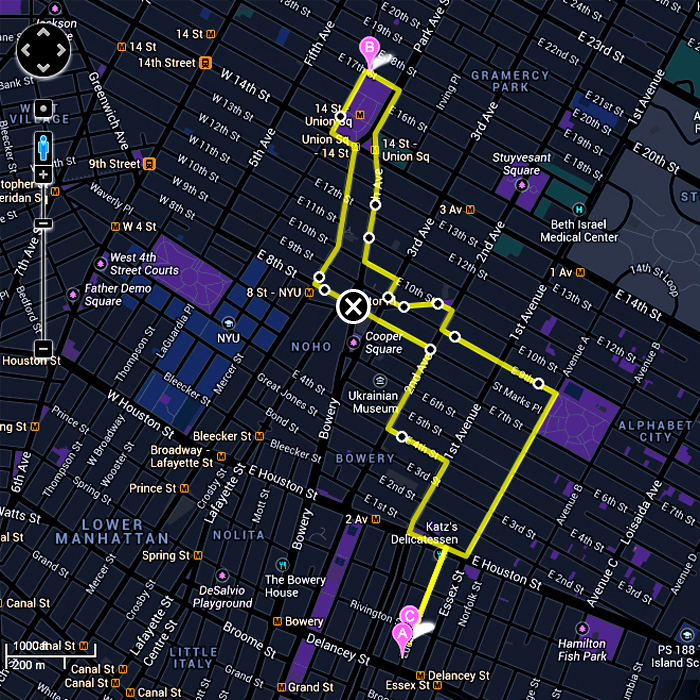 The procession will begin and end at event sponsor Spectrum NYC‘s location at 121 Ludlow Street, wind its way up through the East Village to Union Square, and then back again with a special stop at the iconic sculpture The Alamo (aka the Astor Place Cube). The procession route is shown in detail in the map at the bottom of this page. The event runs from 3-5pm and is FREE and open to all. Created and produced by composer and performer Patrick Grant in 2011, TILTED AXES is an event designed to pull together players of varying abilities in an edgy yet harmonious whole in which there is a musical role for everybody. The performers will be led by a Tilted Core of a dozen veterans from previous processions with whom the new participants can work and learn from closely. The new participants will be assigned mini-amps which they get to keep after the event. All that is required is a guitar, a strap, a pick, and your presence. Rehearsals are necessary and players are required to attend at least one workshop and to be present the day of the event. With the addition of new sponsor Discover Guitar, the event is also open to acoustic guitars that are equipped with built-in pick-ups since they will be playing through mini-amps as well. The event is open to players 16 years of age or older. 3. Not a “shredder”? Not a problem. There’s a part for you in this too. The musical content of the event consists of a number of processional themes and musical games that the ensemble will have memorized by the day of the event. 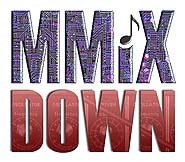 PDFs and MP3s of the material will be made available weeks prior to the first rehearsal. This will be the official after-party at Spectrum NYC and will be open to the public. This event is entirely optional for all Tilted Axes participants but we are invited to perform some selections from our repertoire indoors to kick it off after our break. Also on the this program will be performances by various configurations of the members of the Tilted Core with their own ensembles and other musical guests. Members from other Make Music Winter events will also be invited to perform.